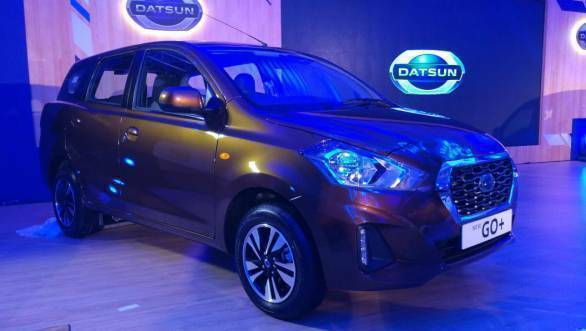 Datsun today unveiled the facelifted Datsun Go hatchback and it's MPV derivative, the Go+. The two cars have received a few styling tweaks. There is a new and more sculpted bumper design with new LED DRLs and new inserts. The grille has a new pattern and the headlamps have been slightly reworked as well. Other changes include new outside mirrors with turn indicators, larger 14-inch wheels and a rear wash/ wiper. The interiors have received a complete revamp. There is a new instrument cluster with an analogue tachometer, a new 7-inch touchscreen with Android auto and Apple Carplay. 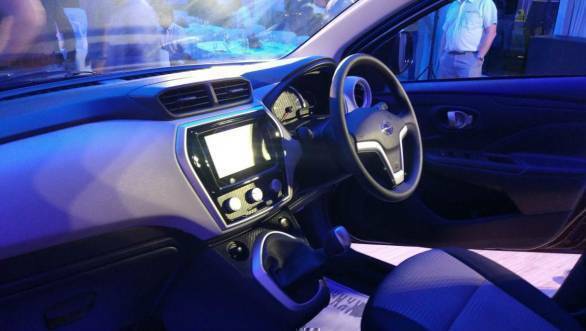 The Go+ MPV gets a two-tone colour scheme while the Go has an all-black layout. The interiors have lost the front-row middle seat as well. The cars are an altogether better safety proposition now with the addition of the two standard airbags and ABS, reverse parking sensors and a seatbelt reminder. Mechanically, the cars remain unchanged. They are based on the V platform which they also share with the Nissan Micra. 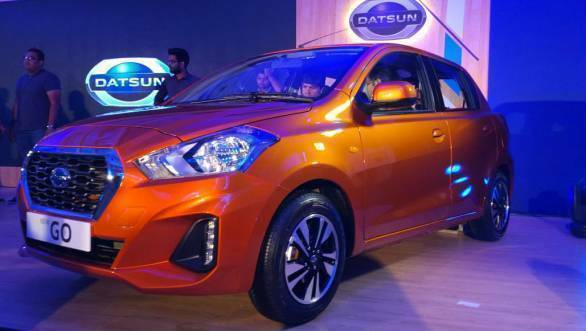 The Datsun GO+ MT and 2018 Datsun GO+ use the 1.2-litre three-cylinder petrol engine that produces 68PS and 104Nm. The Go can accelerate from 0 to 100 kmph in 13.3s. Bookings have already begun for these cars at Rs 11,000. Expect a slight premium over the Rs 3.38 to 4.41 lakh for the current Go and Rs 3.95 lakh to Rs 5.25 lakh for the Go+.